So I have been a little quiet on here over the past week with Christmas and everything but don’t worry I am back! I thought I would fill you in on how I spent my Christmas, some presents I bought and some I received. On Christmas morning we all have to wait until everyone is up before we can go downstairs into the sitting room to see what Santa brought. Even though I’m 24, one of my brothers is 18 and my youngest brother is 15 we get so excited to see what is under the tree on Christmas morning. As I am taking the beauty industry by storm the past year and a half so Santa brought me lots of vouchers for makeup from inglot and beauty equipment from Gainforts. Bring on the sales because I am ready to do damage. 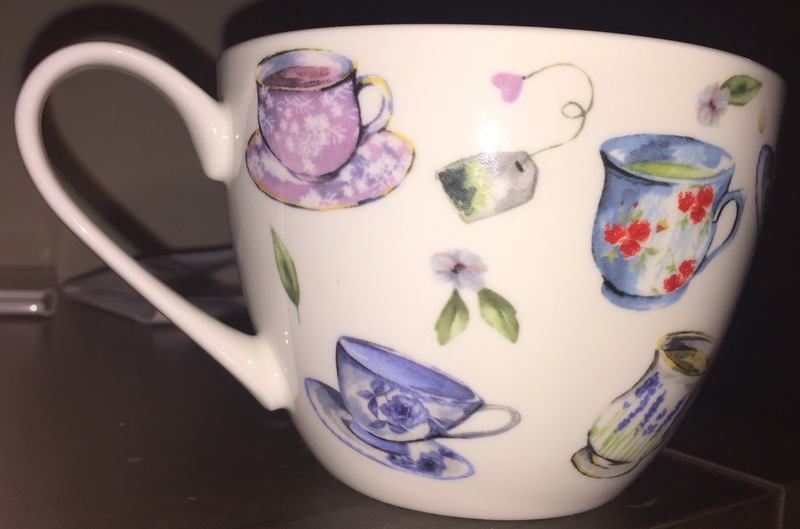 I also got some lovely New Pjs, slippers, a dressing gown, chocolate, a mug (yes a mug I love mugs for my tea!) and plenty more. I was very spoiled not just by Santa but my amazing family and boyfriend too. This year Santa was very good to me but he was especially good to my little puppy Sophie. 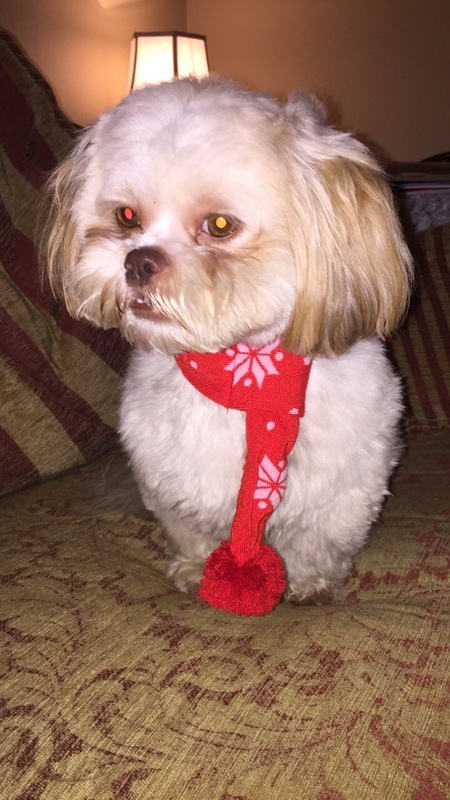 Here is her new Christmas scarf that Santa brought. She got lots of yummy treats too. This year my mam invited everyone to our house for Christmas dinner so there ended up being fourteen of us in total. It was great having us all together and I really enjoyed it. Christmas isn’t all about the presents you give or receive. Last year a family member got very sick and thankfully everything is ok now but it really puts everything into perspective. Family is so important. What good is a present if you don’t have anyone there to enjoy it with. Christmas Day at home was full of food, games, laughs and hugs but I wouldn’t have it any other way. I hope you all had a lovely Christmas and a great new year, I know I did so far.